Rodrigo Lima Ruas Wang (born October 6 , 1977 in Rio de Janeiro) is a Brazilian mixed martial artist. He fought for the Southern California Condors of the International Fight League. Ruas' uncle, Marco Ruas, is the coach of the Southern California Condors and selected Rodrigo for his IFL squad because he said he knows just how tough the kid is. 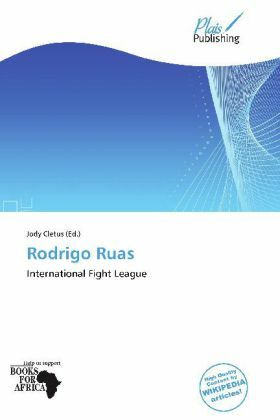 Ruas has a strong background in both jiu-jitsu and kickboxing, as one might expect, and he possesses the ability to end a fight standing or on the mat.